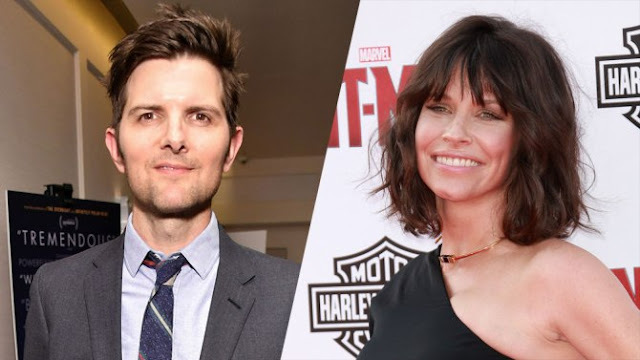 Adam Scott, best known for his role as Ben Wyatt on Parks & Rec, is back in Northeast Ohio shooting the new Netflix horror-comedy Little Evil. Scott spent time in the Buckeye State last summer shooting My Blind Brother with Jenny Slate and Nick Kroll. Locations for Brother included Lakewood and Westlake. Evangeline Lilly co-stars. You’ll know Lilly from her role as Hope Van Dyne in Ant-Man and the upcoming Ant-Man and The Wasp, as well as Kate on Lost. Eli Craig directs from a script he wrote. Craig made the cult classic Tucker and Dale vs Evil. The film will shoot in part at Greenwood Farm in Richmond Heights. The historic farm served as a location for the horror film The Bye Bye Man as well. Little Evil is about a man who marries a woman only to discover that her 6-year-old son may be the Antichrist. The film also stars Ohio-native Clancy Brown. Little Evil will debut on Netflix sometime in 2017.